Unfortunately, only one answer was received in reply to the question, "What do these photographs have in common?" However, the received answer was right. The expert turned out to be a known to us captain of the team "A DAN DZO & PGMB" Andrey Maksimov, who explained the answer in full. In order to answer the question, it's necessary (and probably enough) to recognise the person shaking hands with Kirsan Ilyumzhinov on the second photo (obviously, it's Emil Sutovsky in the first one). That's Lech Walesa, the sixth President of Poland, the Nobel Peace Prize Laureate for active support of workers' rights, and the leader of the independent trade union "Solidarity". At the same time, according to Silvio Danailov, the leader of a modern-time trade union with the same name is Emil Sutovsky. Danailov's opinion appeared on our site several times. Therefore, the trade union "Solidarity" is the common theme between the photographs. Everything seems to be perfect in Turkey. Even taxis. All taxi-drivers in Turkey are officially employed. I like it pretty much mostly because there is no need to negotiate a price before the trip but drivers usually tries to mark up the price at the end, well quite human desire. Silvio Danailov: "I'm The Only Opposition to FIDE, Everyone Else Remains Silent"
The president of the European Chess Union gave an interview to the Bulgarian website pressadaily.bg and told about his relationship with FIDE president Kirsan Ilyumzhinov. The President of the European Chess Union (ECU) Silvio Danailov wrote an open letter to Kirsan Ilyumzhinov. 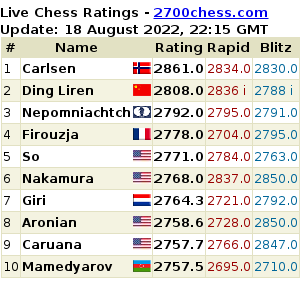 That happened because FIDE approved only four out of ten arbiters nominated by the ECU for working at the Olympiad. Antoaneta Stefanova became the first finalist of the Women's World Championship held in Khanty-Mansiysk. 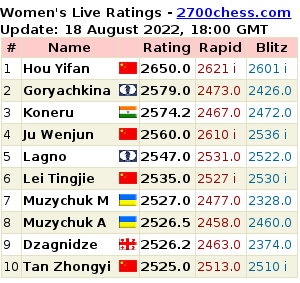 She drew her 2nd classical game against Harika and came to the press center of the championship for the first time during the entire competition. However, she didn't say a word and send her coach Vladimir Georgiev to answer on journalists' questions.